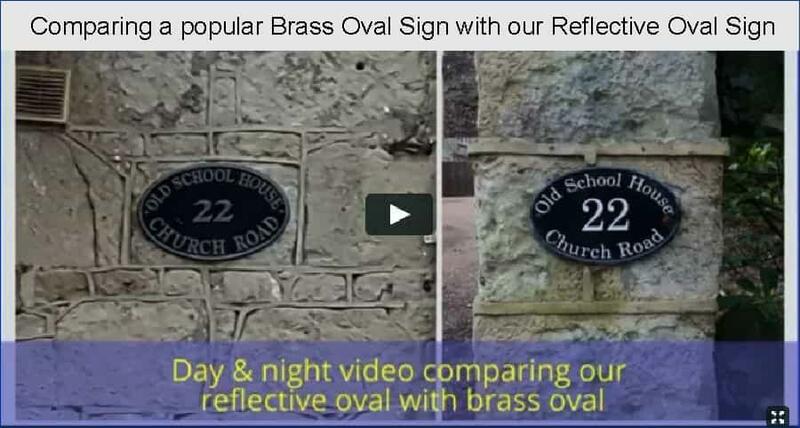 Night reflective oval plaque suitable for house names and numbers. They are completely weatherproof and will not crack or craze in the frost. The plaque was received this morning. Beautifully packaged. I am delighted with it. The workmanship and care taken is a credit to your company. All I need now is to get the front door painted!! 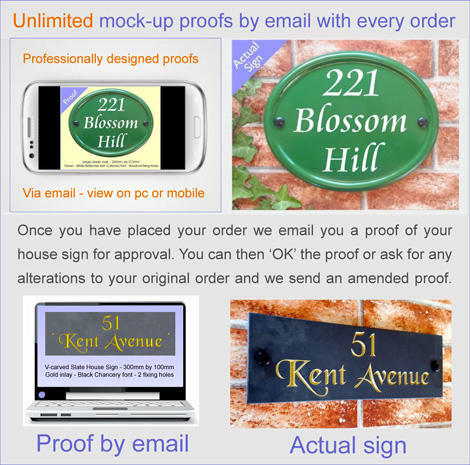 Good morning House Signs. The new sign arrived safely and Christine is delighted with it. I splashed out on new masonry drill bits and it is now erected surprisingly competently. It's been a very good experience dealing with you from the first web site visit through to delivery. Thank you, Richard (Husband). 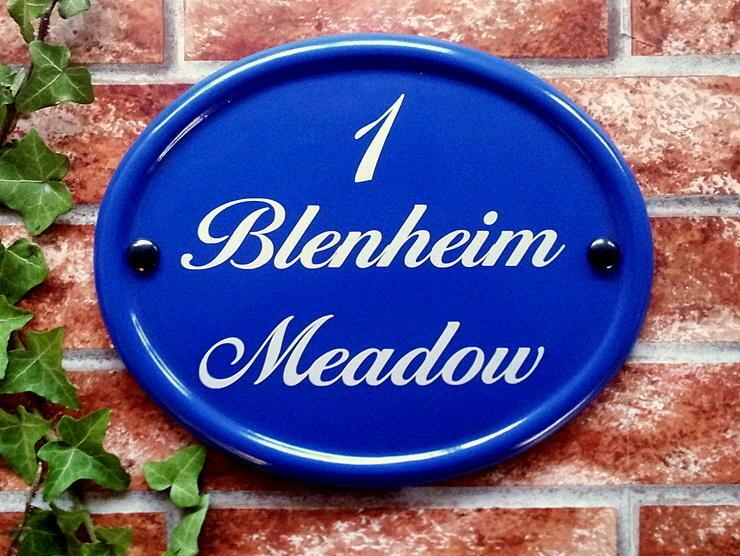 Many thanks for the house sign. It has now been put up and looks great. We are very happy with it and my husband congratulated me on a good choice. 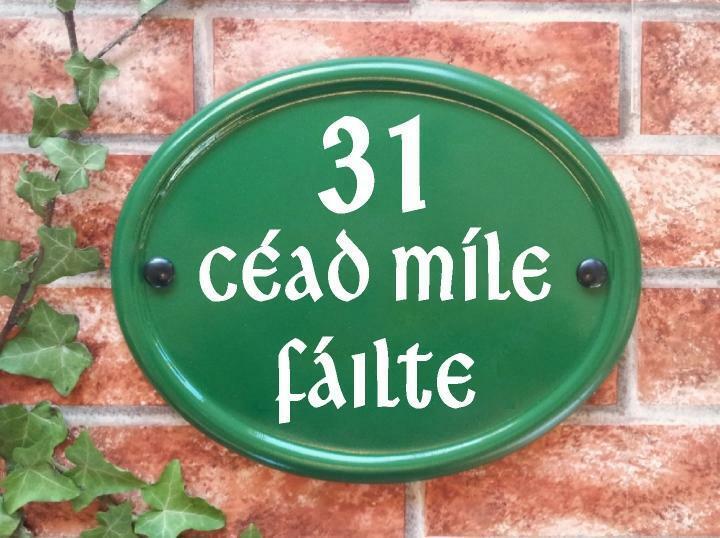 I just wanted to say that our house sign was delivered to us today and is absolutely delightful. We could not be more pleased. Many thanks indeed to all of you there. 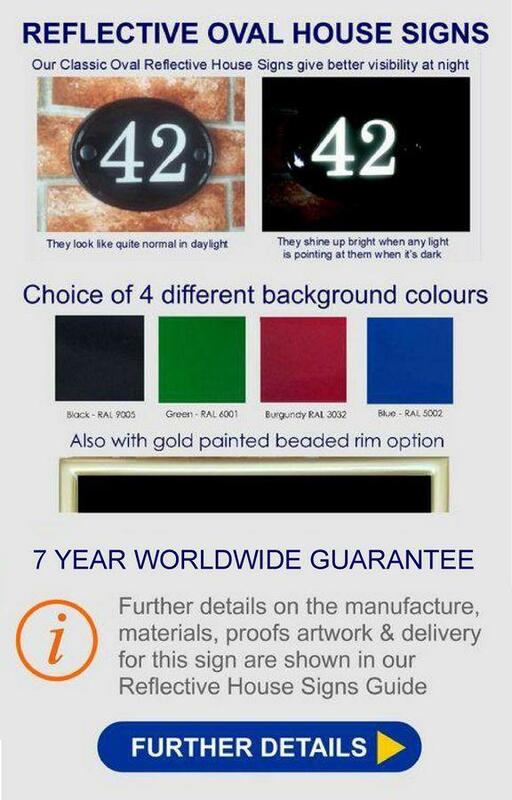 Absolutely delighted with the service and the product. A real pleasure to do business with you. Thank you. Just to let you know it arrived safely and looks wonderful. 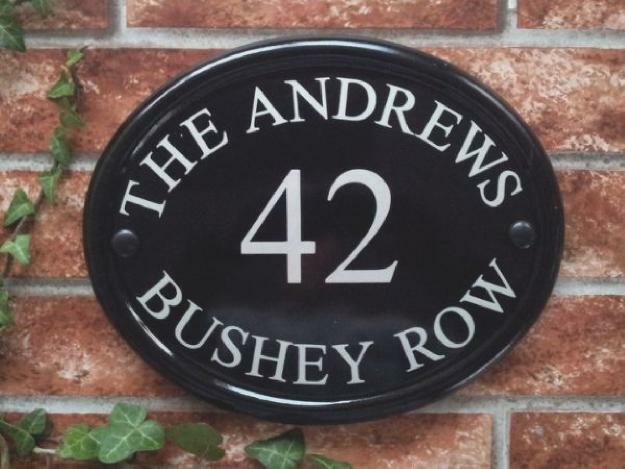 We use the back of our house as our front as the road runs to the back rather than the front but is actually a different name to that of our actual address but thanks to our lovely plaque, no longer does the postman or visitors have problems finding our house. You have done a lovely job and we are very pleased indeed with our purchase. Thank you. 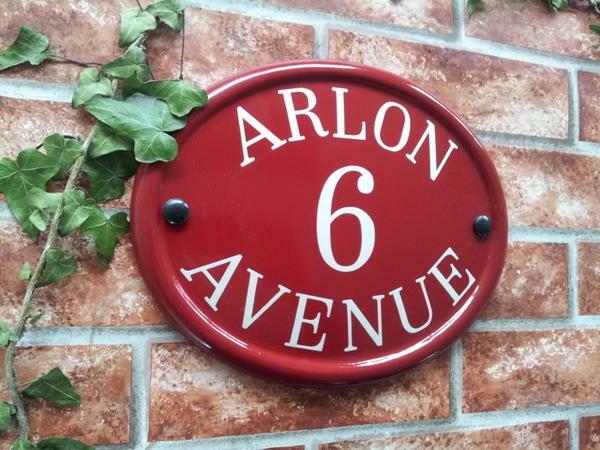 thank you for the safe arrival of this house sign, we are absolutely delighted with the sign which is now hanging on our wall, we are 100 percent satisfied with the entire process. Very nice work! 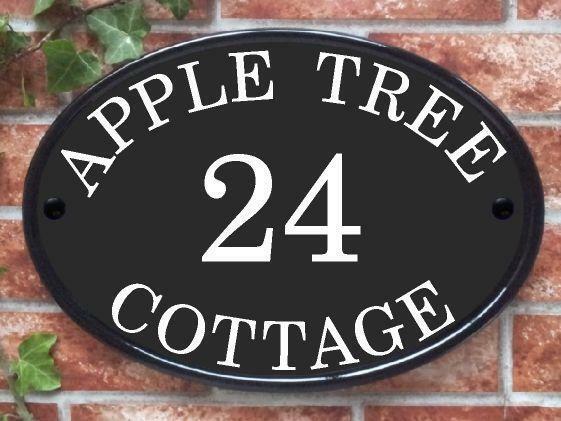 The house sign looks great and the design suggestions were very much appreciated. Highly recommend.